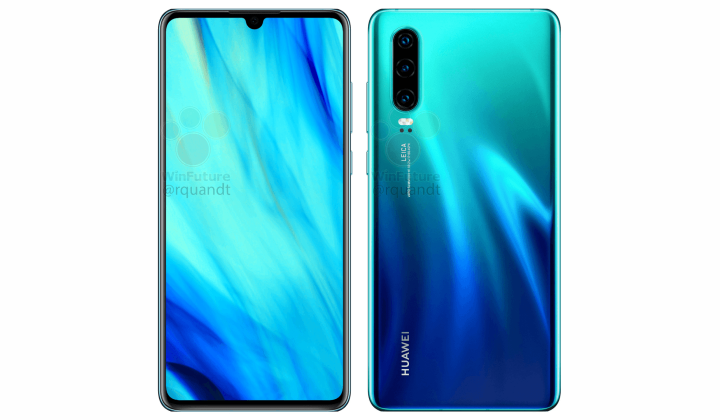 Huawei P30 and P30 Pro Renders Leaked Well Ahead of Launch - Playfuldroid! 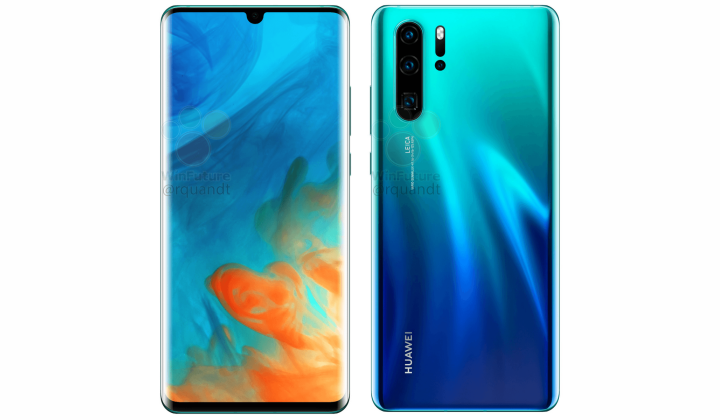 Huawei P30 and P30 Pro are expected to go official through an unveil event in Paris, France on March 26. Rumors have it that the P30 and P30 Pro will be equipped with waterdrop-notch enabled screens. 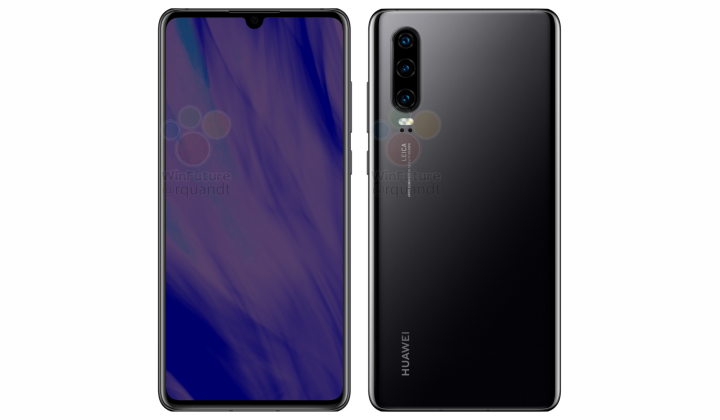 The P30 may come with a triple camera setup whereas the P30 Pro will have four rear-facing cameras. 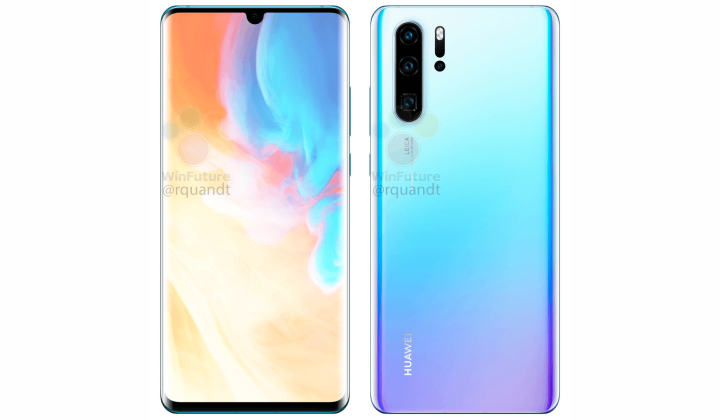 Today, WinFuture.de has shared the renders of the P30 and P30 Pro smartphones. 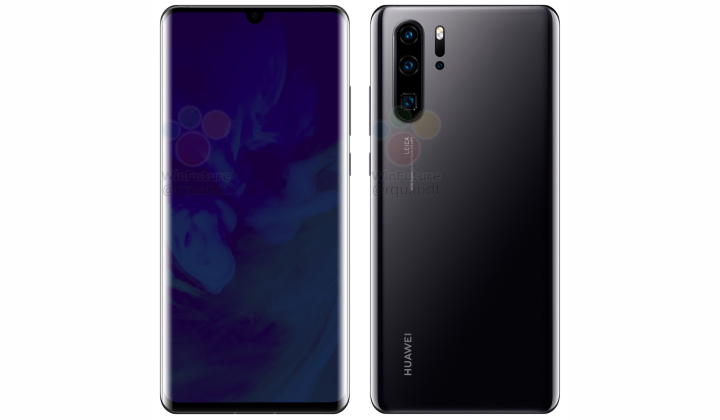 The Huawei P30 and P30 Pro renders confirm that these phones are indeed equipped with waterdrop notched screens. However, P30 Pro’s display is curved towards the left and right edges whereas the P30 has a flat display. It is speculated that the P30 Pro will have a 6.5-inch OLED panel. On the other side, the P30 may have a 6-inch OLED panel. 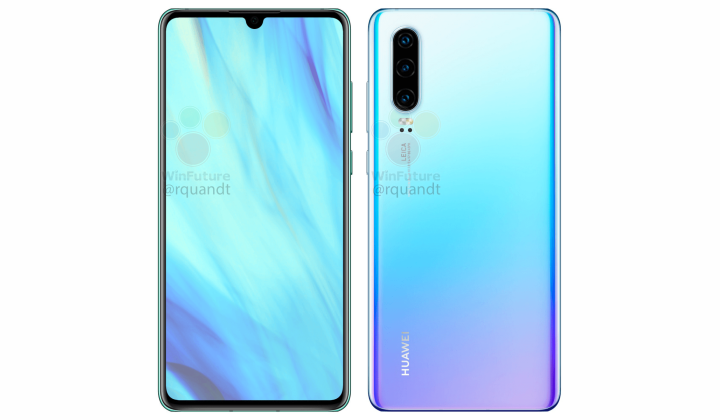 The rear panel of the Huawei P30 Pro shows that it is fitted with a quad camera setup. There are three cameras placed in a single line and there is a separate fourth camera sensor which could be a 3D ToF sensor. Above the fourth sensor is a module that includes laser autofocus and dual-LED flash. The P30 features only three cameras on its rear. The Kirin 980 SoC is rumored to power both phones. Through 3C certification it has been found that the P30 supports 22.5W fast charging and P30 Pro is equipped with 40W rapid charging.